Use the latest firmware levels on your host system. Install the HBA or HBAs on the Linux server. Install the supported HBA driver/firmware and upgrade the kernel, if required. Connect the Linux server FC host adapters to the switches. Configure the switches (zoning) if needed. Configure the host, volumes, and host mapping in the IBM Flex System V7000 Storage Node. Rescan for LUNs on the Linux server to discover the volumes that were created on the IBM Flex System V7000 Storage Node. note:sdb,sdc and /dev/mapper/mpathc are new devices added. 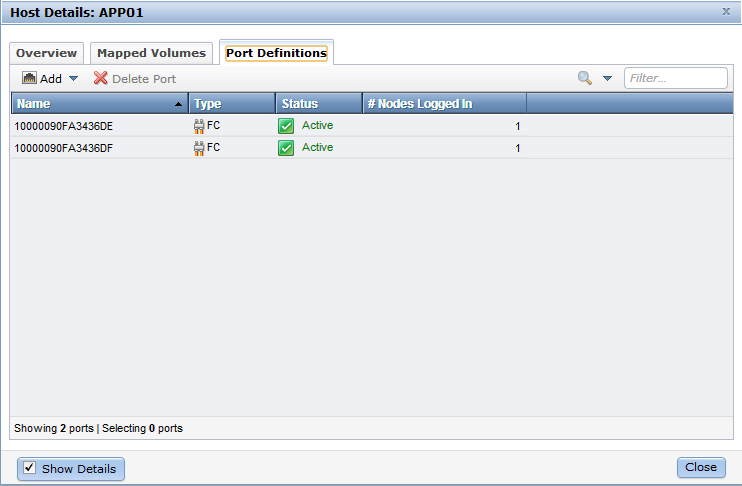 note:multipathing aggregates the sdb,sdc, and creates a new device mpathc that consists of the aggregated paths.